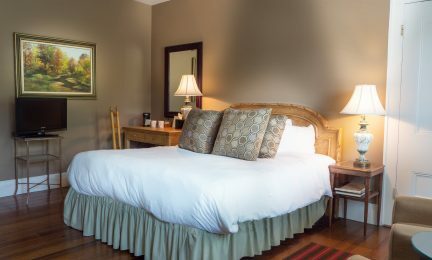 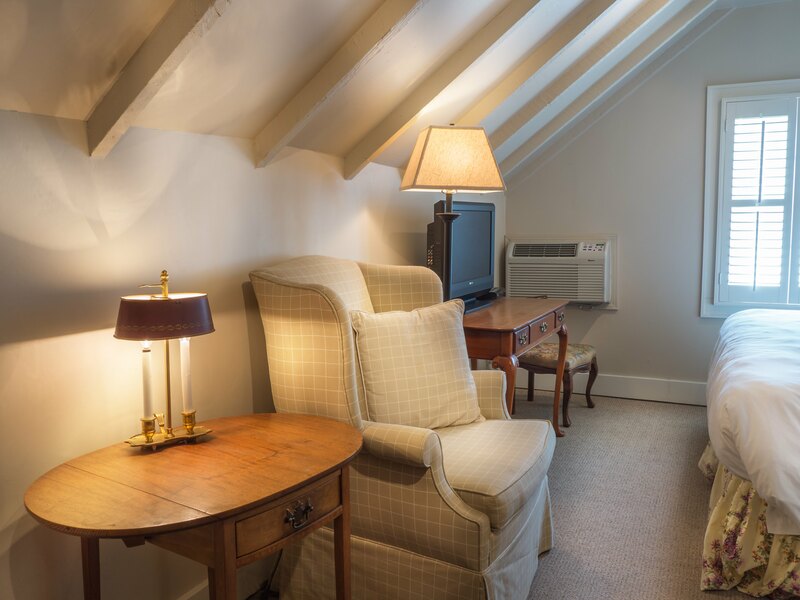 When you book a McCully King Guestroom, you will be randomly assigned to one of 4 rooms. 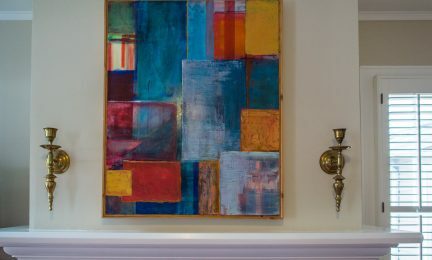 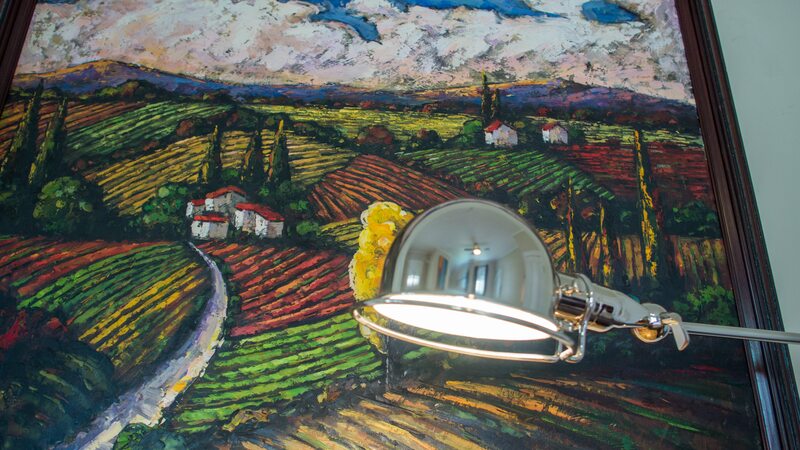 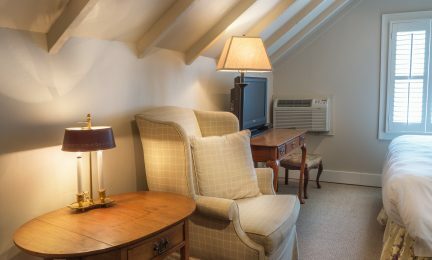 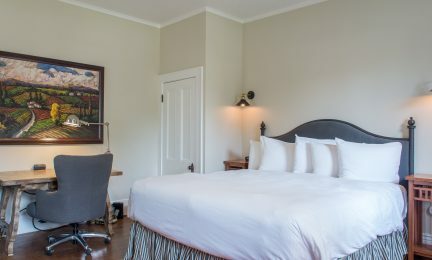 Each room has a unique style and charm. 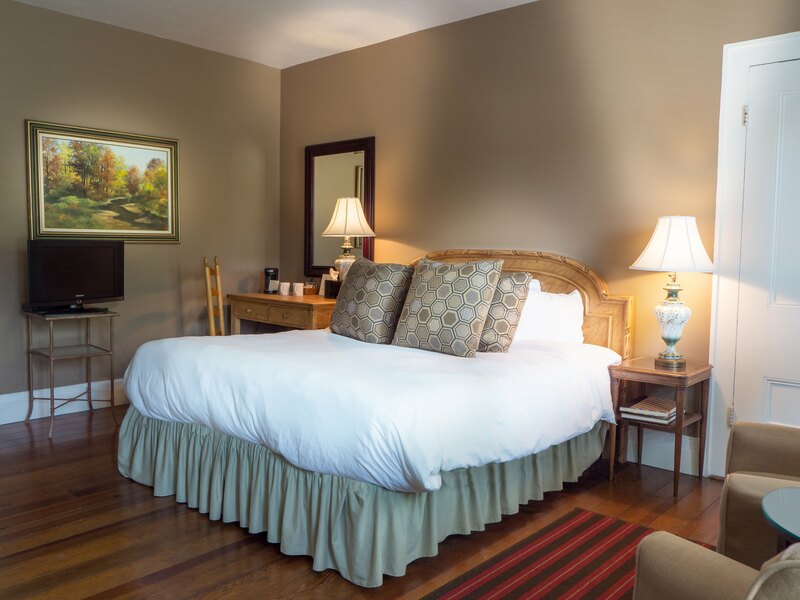 If you have a strong preference for a specific room, please be sure to mention it in the reservation process and we will make every effort to get you assigned to the room if it is available during your stay. 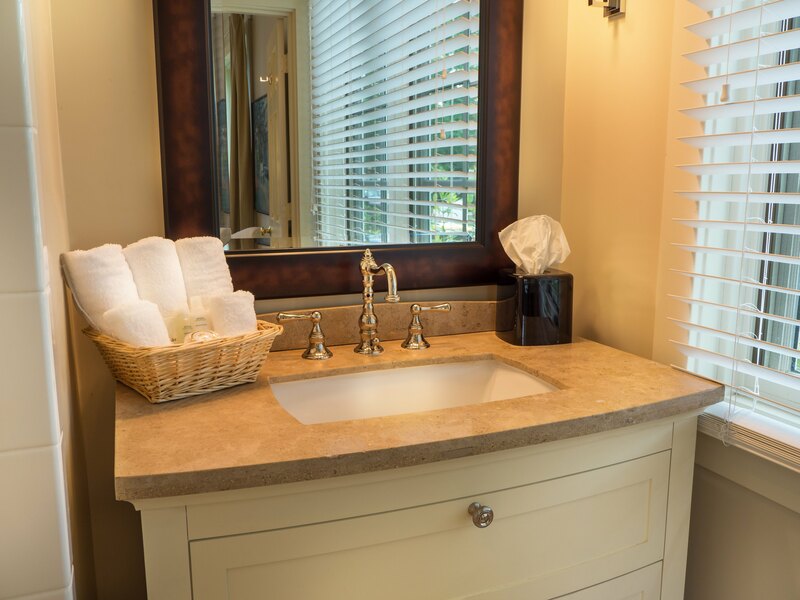 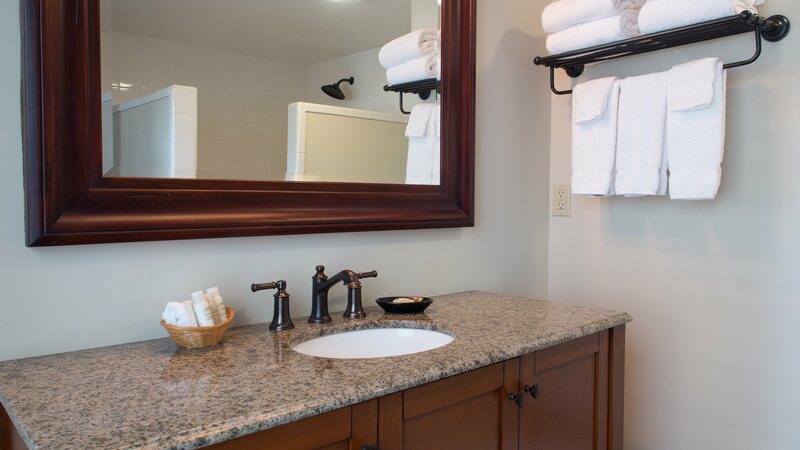 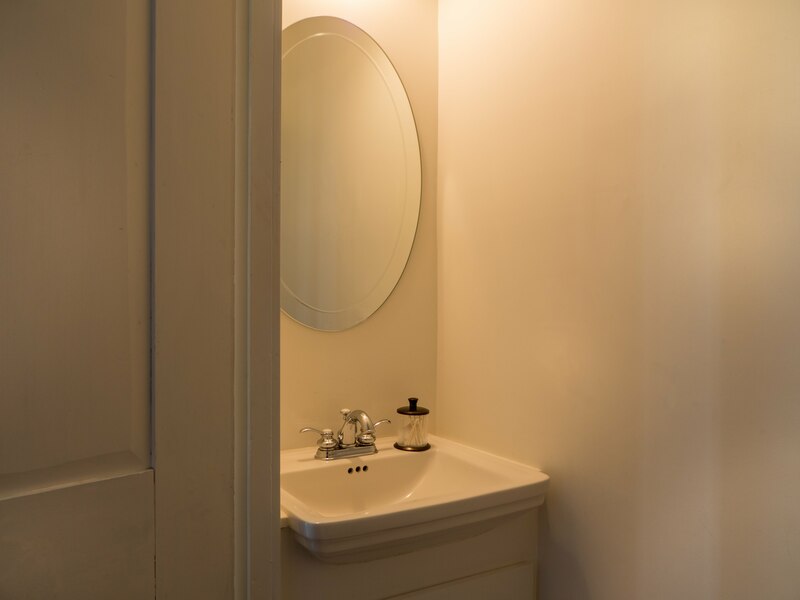 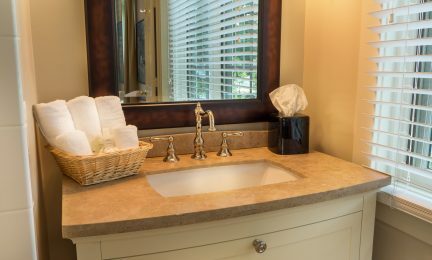 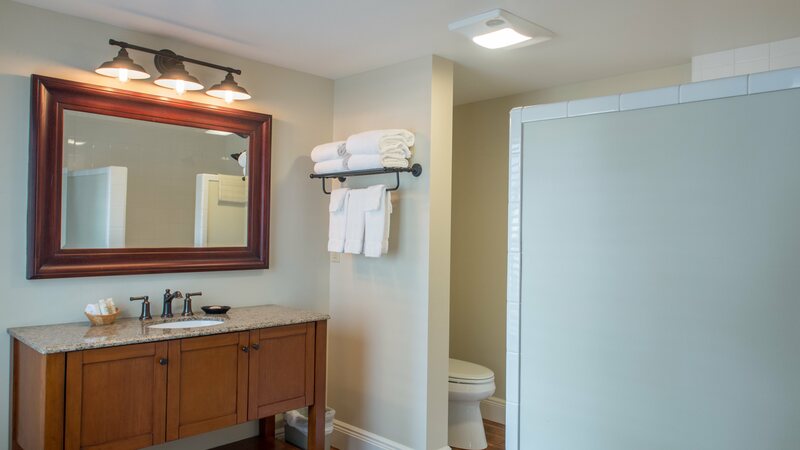 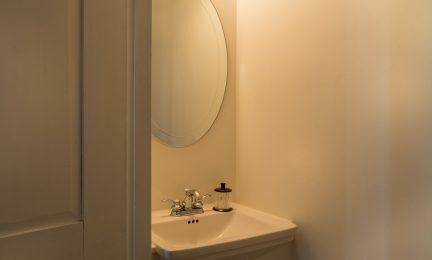 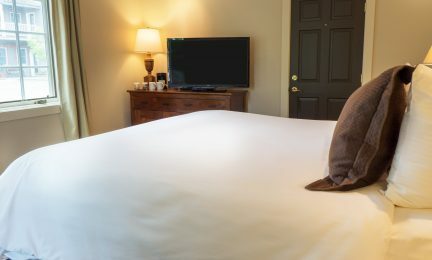 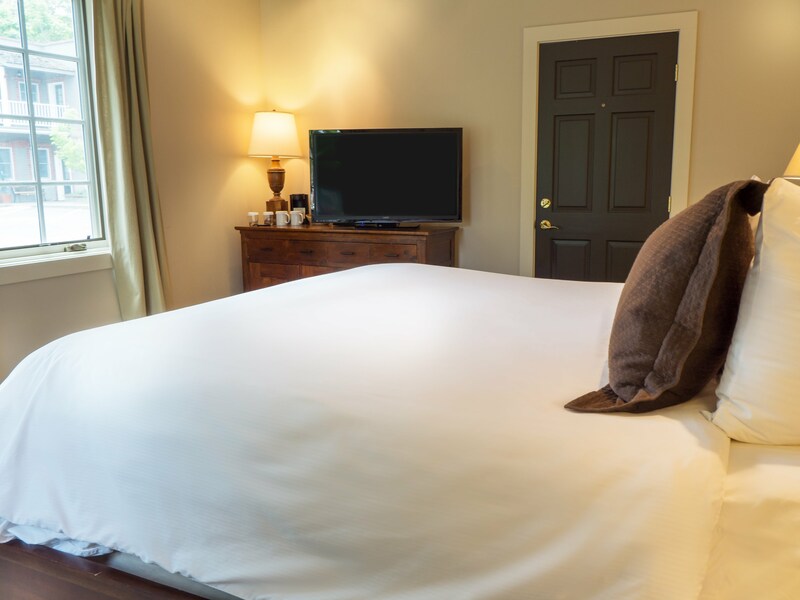 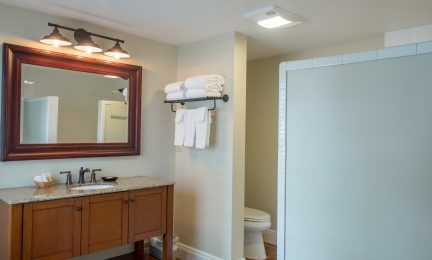 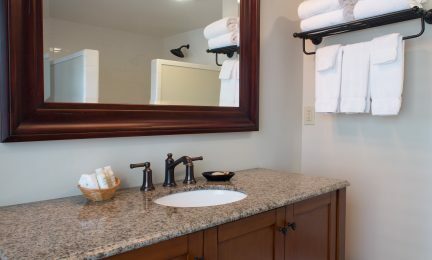 Each guestroom features a coffee maker, refrigerator, flat screen television, bottled water and Aveda bath products. 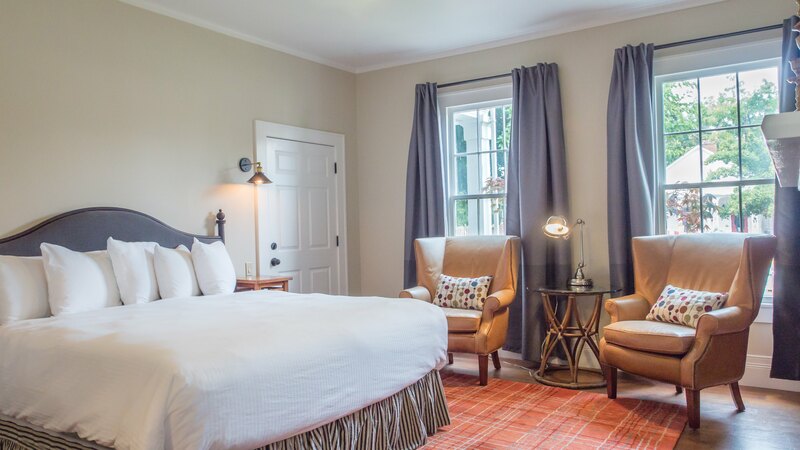 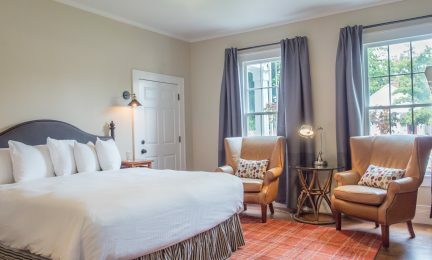 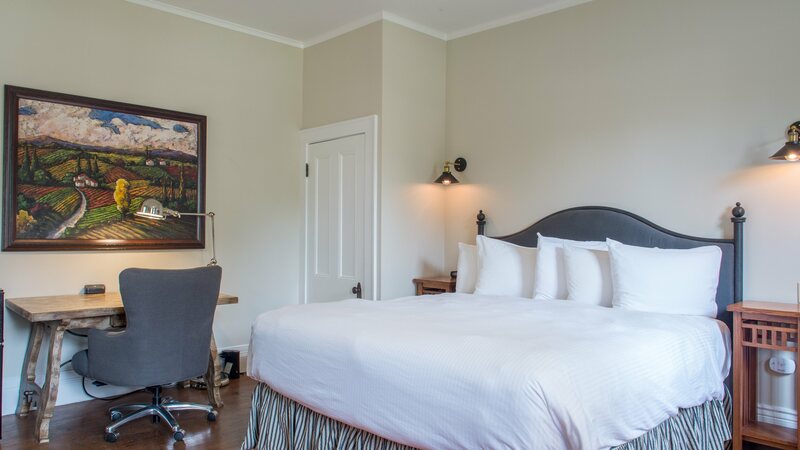 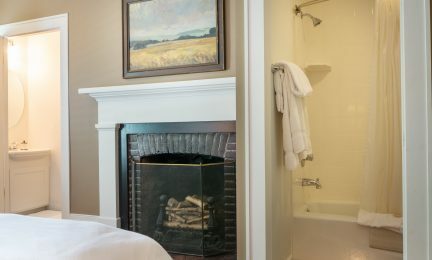 This light and bright guest room features a king size Serta Presidential pillow top bed, bold, beautiful artwork, decorative (decommissioned) fireplace and private bathroom with an over-sized walk-in waterfall shower. 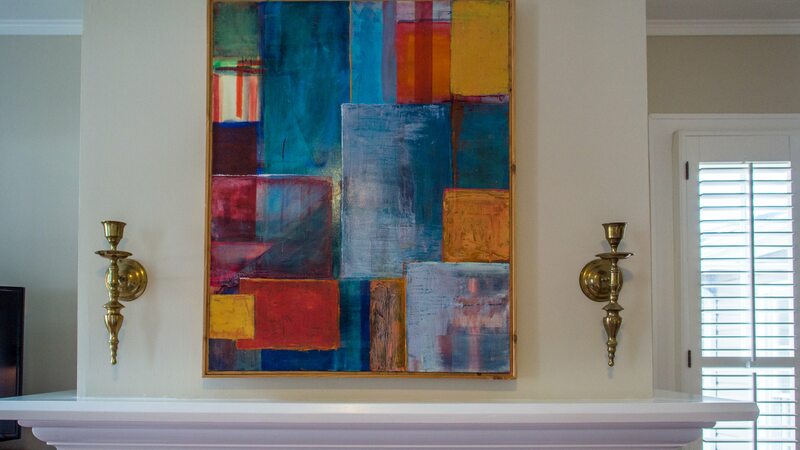 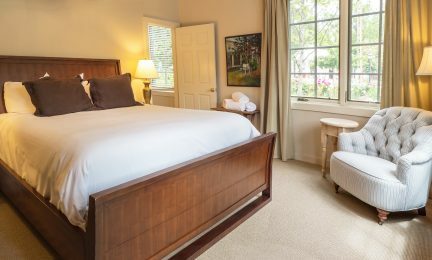 A comfortable guest room that overlooks California Street, the main street of Jacksonville. 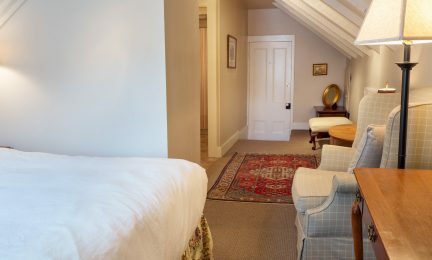 This room provides a King sized bed, writing desk, brick surround decorative (decommissioned) fireplace. 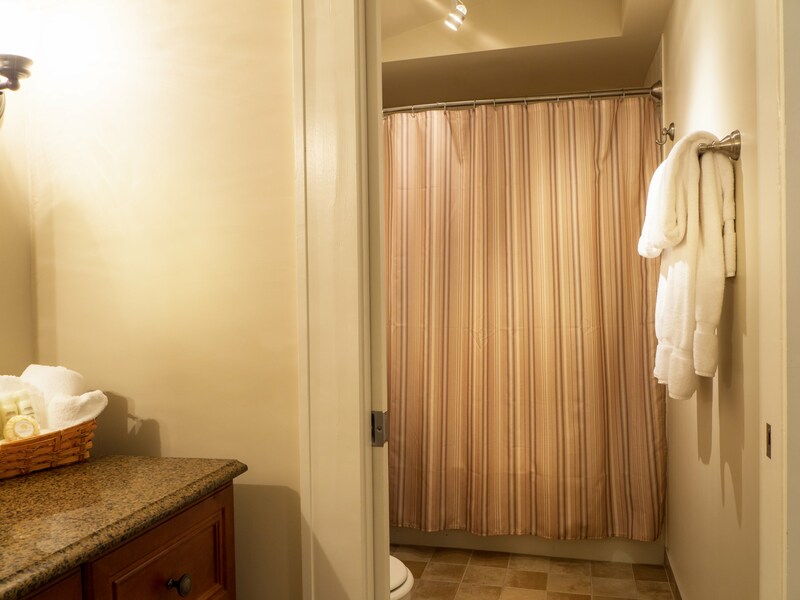 There is a sink room and private water closet room with full sized bath tub and shower. 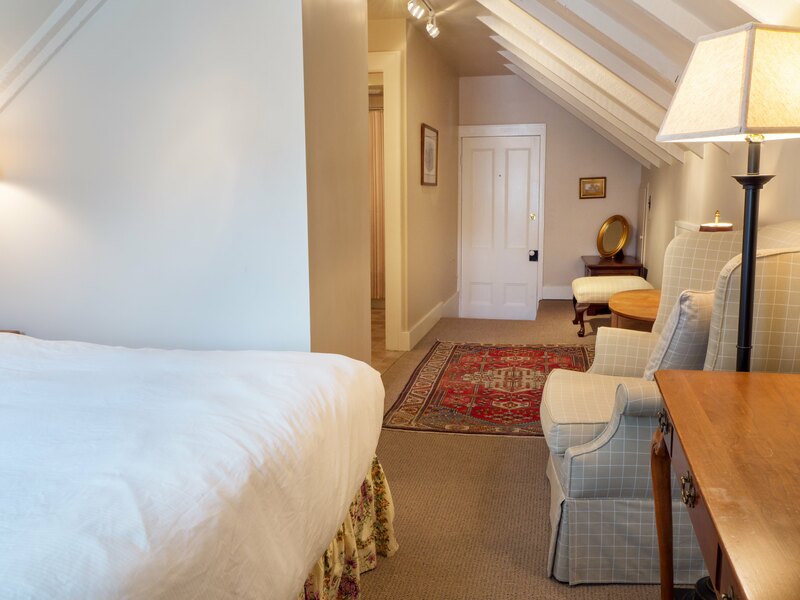 This room has a lot of character with the gable ceiling. 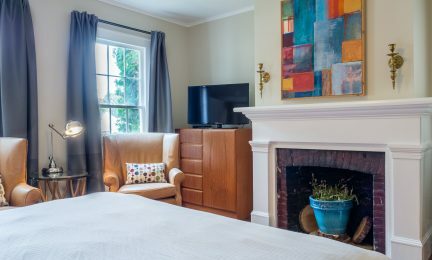 Located on the back side of the house, away from the sounds of traffic and town, this room has a King size bed, AC, flat screen TV, standard tub with shower. 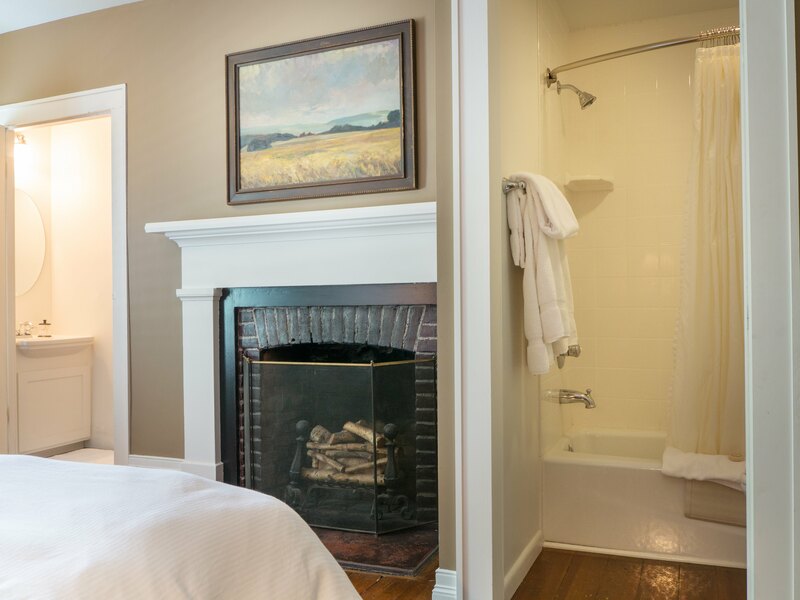 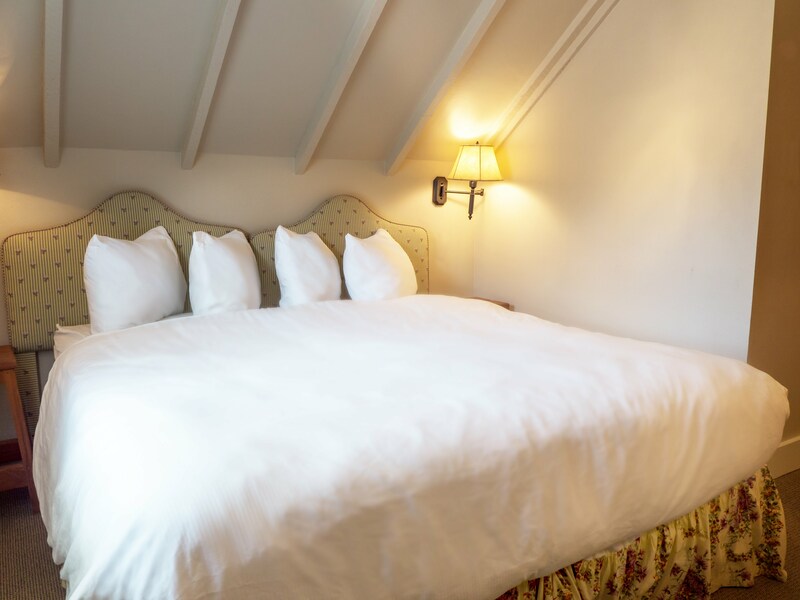 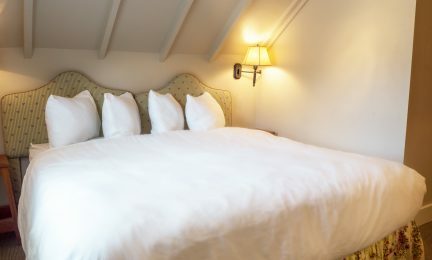 This simple stated room offers a king size bed and walk in shower. 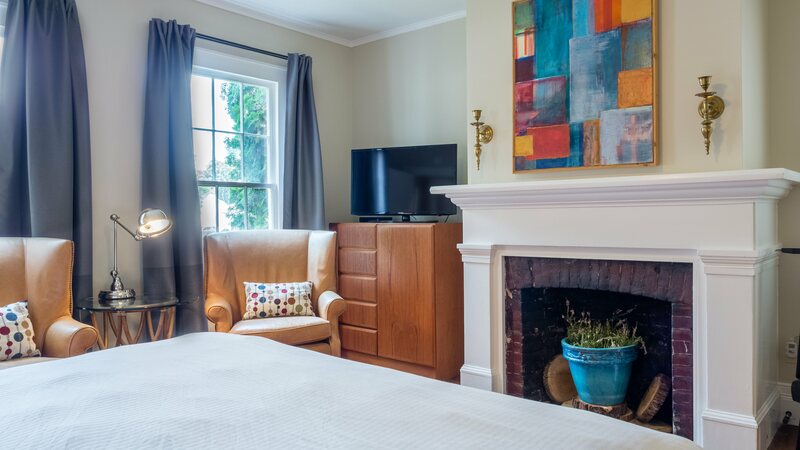 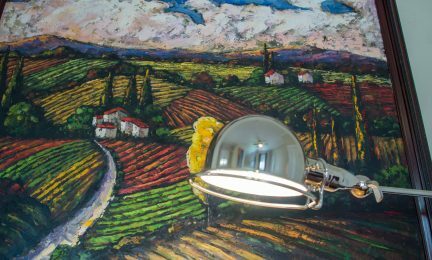 Situated on the side of the house with a quiet single lane street.